Why it matters: Fans of the battle royale genre have yet another quality option at their disposal following the launch of Apex Legends a week ago. It's too early to know if the title will ultimately prove as popular as PUBG or Fortnite but it's off to a great start. Since launching a week ago, the game has attracted more than 25 million registered players. 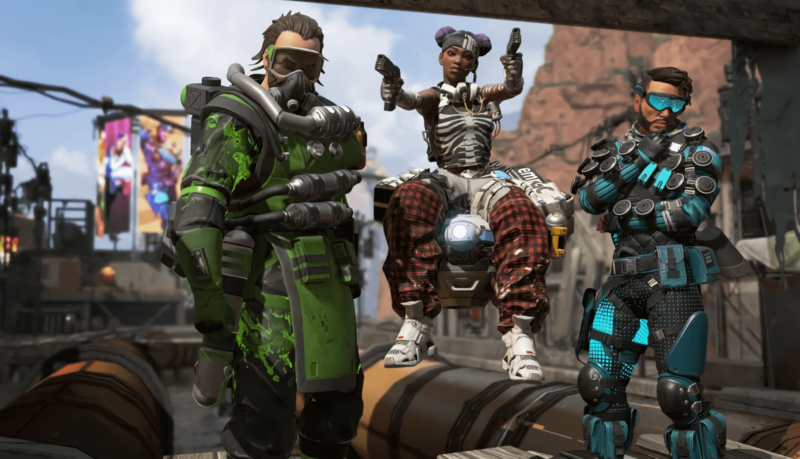 At its peak this past weekend, Apex Legends had over two million concurrent players, Respawn CEO Vince Zampella said in a recent blog post. By comparison, it took Fortnite nearly four months to attract its first 45 million players. Speaking of, Fortnite still holds a substantial lead over its latest challenger. Epic said in November than the game had crossed the 200 million registered user mark. That number is undoubtedly higher today following the holiday season. Looking ahead, Respawn is launching an Apex Legends e-sports tournament today that runs through next week. There’s also a Valentine’s Day loot drop coming later this week and the debut of Season One / the game’s first Battle Pass in March. You can download Apex Legends here.